Girvan Dempsey and Wayne Mitchell have been named Elite Player Development Officers for Leinster Rugby. Commenting on his new role, Girvan Dempsey said: “I am thrilled to have the opportunity to continue my long association with my home province in this exciting role. Leinster’s underage set-up is amongst the strongest in Europe and the challenge over the coming years will be in maintaining and improving the standards as well as the playing numbers. Wayne Mitchell added: “I have been working with Leinster for the last four years as first a Rugby Development Officer and more recently as a Coach Development Officer. The challenge will be to identify the right players and create an environment for these players to compete at the highest level. A lot of time and energy has already been invested in player development and this year we have moved a year backwards so as to identify players at Under-16 level, which opens the door further for players to have more opportunities to come through the system. Email “Leinster appoint two Elite Player Development Officers”. 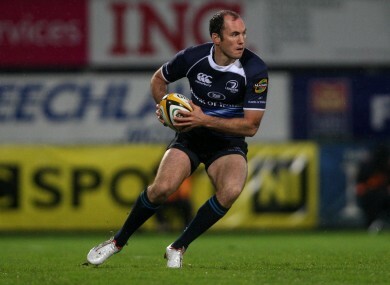 Feedback on “Leinster appoint two Elite Player Development Officers”.